20 Awesome Shabby Chic Bedroom Furniture Ideas .What is Chabby Chic? Chabby Chic is the interior design style where new items are distressed to achieve the appearance of an antique. 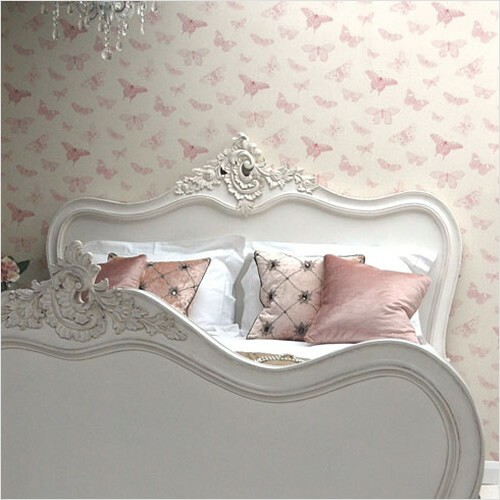 Shabby Chic is a style that a lot of people strive to achieve, but to get the look right you need quality pieces that stand the test of time, great design and a keen eye so you don’t overdo the look. It’s about the aged distressed look and accessories which really set it off. 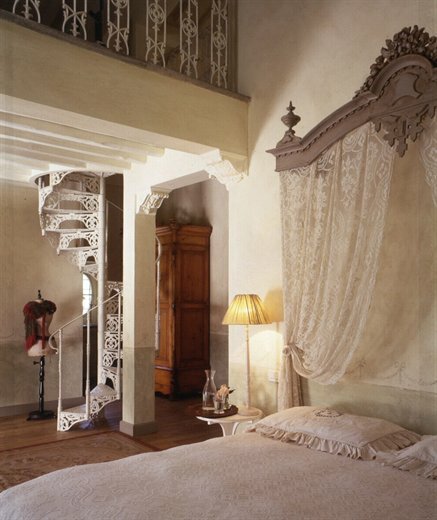 You’re looking for that particular piece of furniture which has an antique look about it but also a soft feminine charm. 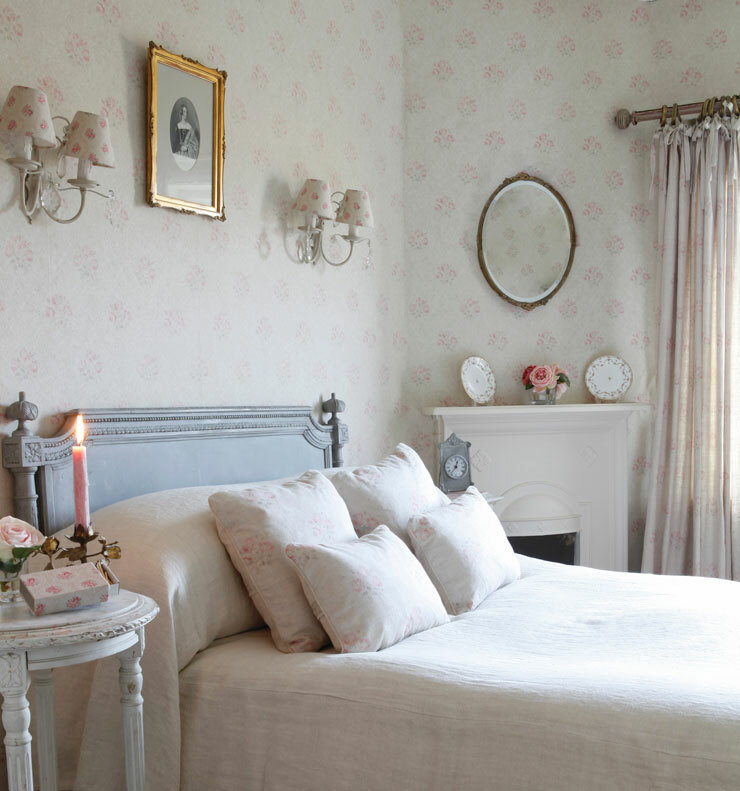 Shabby Chic creates a beautiful feel in the house, and is ideal for creating the aged feel in cottage or country homes. It’s such a timeless style to create and simple to do. 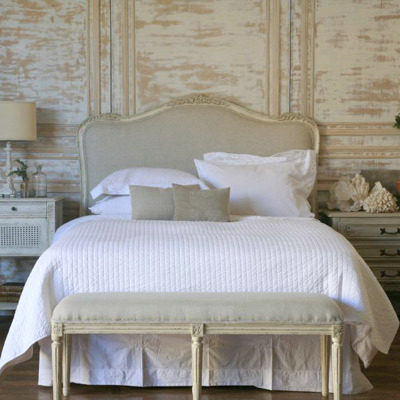 Check out this collection of 20 Awesome Shabby Chic Bedroom Furniture Ideas. 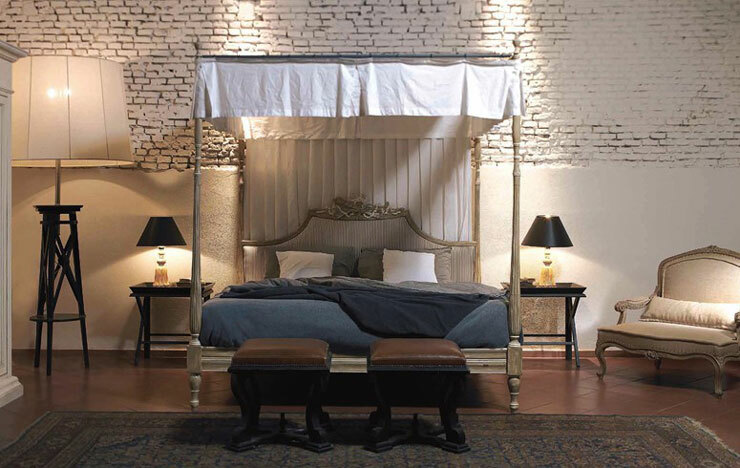 Amazing chabby chic bedroom designs by the italian firm home decor. 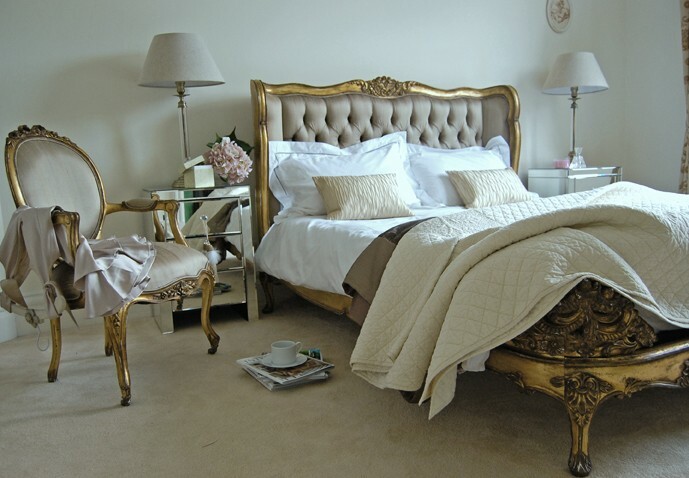 When choosing furniture and accessories for your desired bedroom you should pick items that cross a delicate balance of comfort and style combined. Your bedroom is used for more than just a place to rest your tired head and weary feet so it is essential that you consider what it is you want from your bedroom. If you read at night then a sideboard or bedside table big enough to hold a lamp on it as well as your other chosen accessories and essentials is a must. 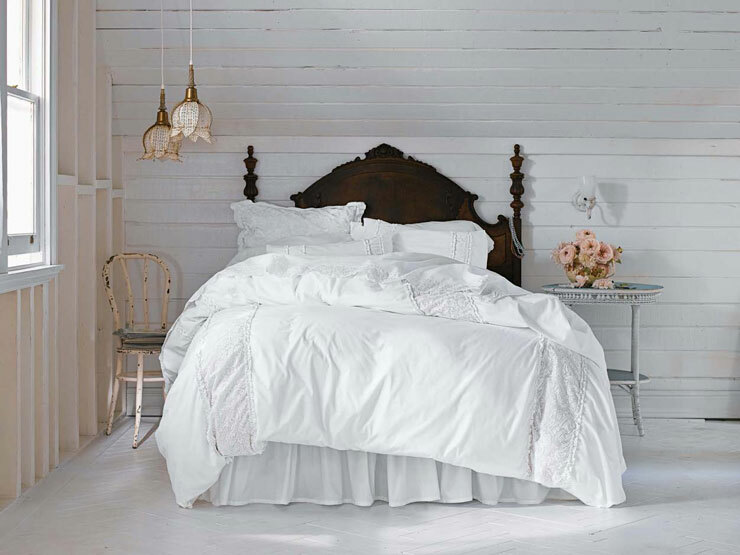 Simply Shabby Chic White Pieced Mesh Duvet $79.99-$99.99 at Target. Awesome chabby chic inspiration by Kate Forman. 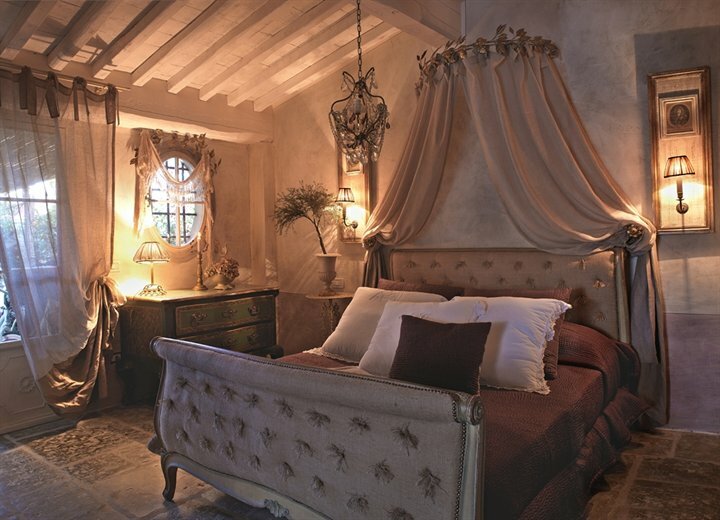 Chabby chic interior designs by Emanuela Marchesini. Glamorous chabby chic bed with headboard covered in goldy/olive green raw silk and scrolled feet. Curved head and low footboard. Find it on Sweetpe & Willow. 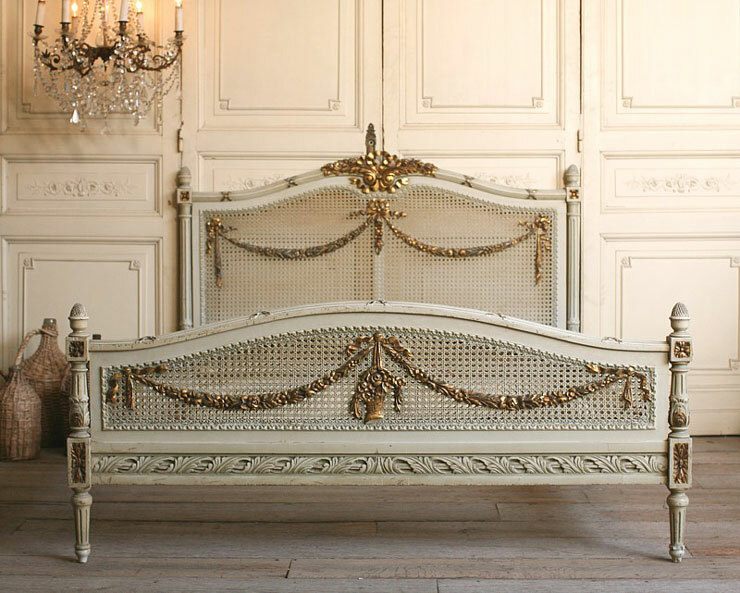 Classic French carved style bed in antique white. The bed shown is king-size 5ft. 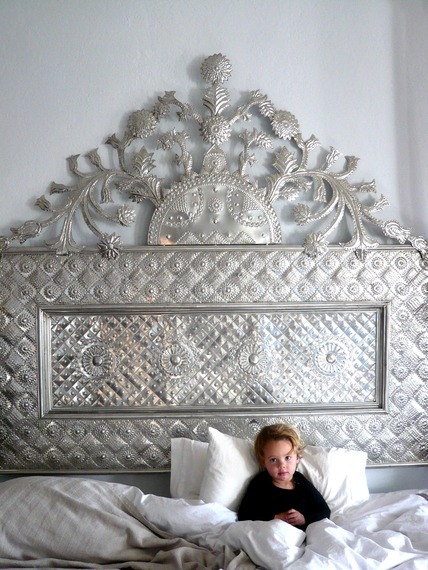 Beautiful carved detail to the head and footboard and lovely curves! Solid and made of Mahogany. 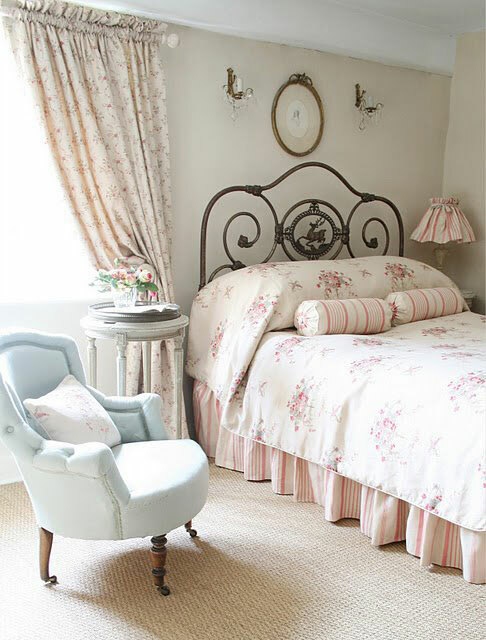 Beautiful cream shabby chic bedroom. If you are interesting for the bedside cabinet, find it on Ebay. 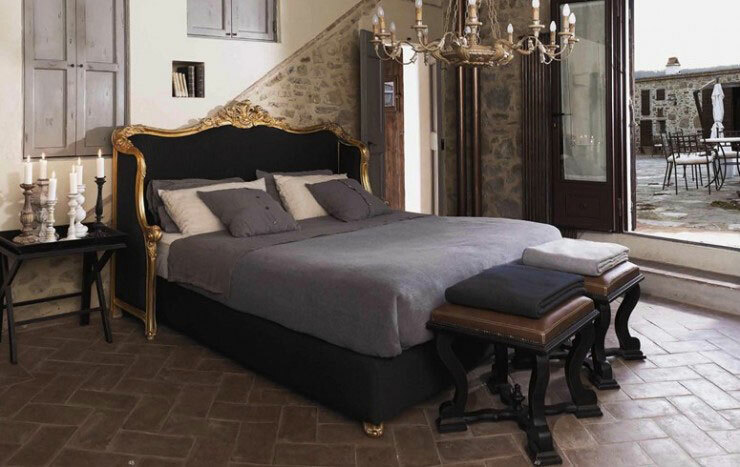 Lugano King Bed. 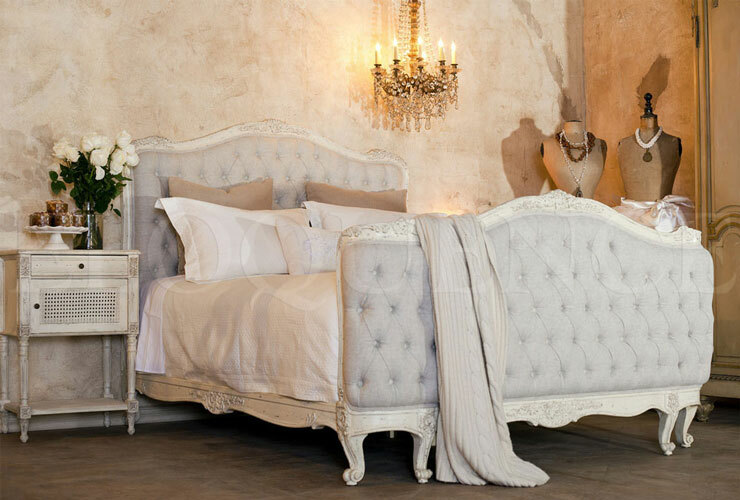 This timeless and elegant rattan bedstead is finished in antiqued stone and the frame is embellished with beautifully carved leaf patterns on the headboard, bed end and feet. 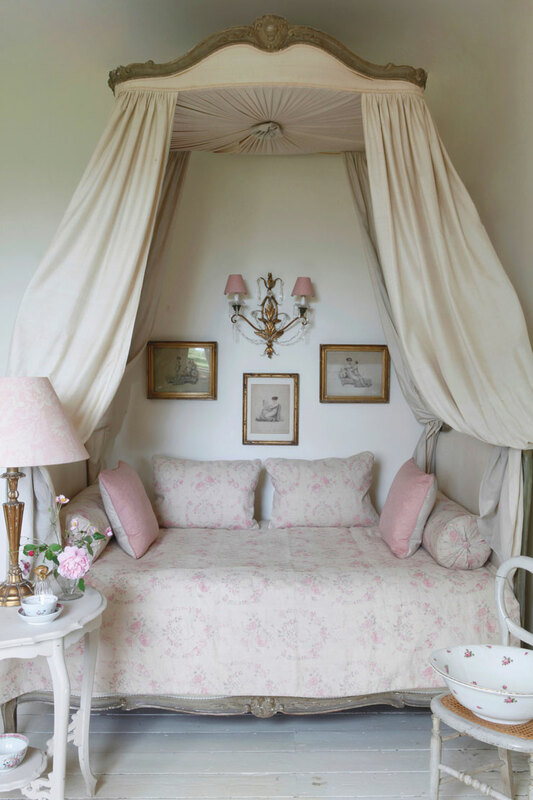 Soft florals, pale colors, and a mix of old and new define Shabby Chic Style decor. 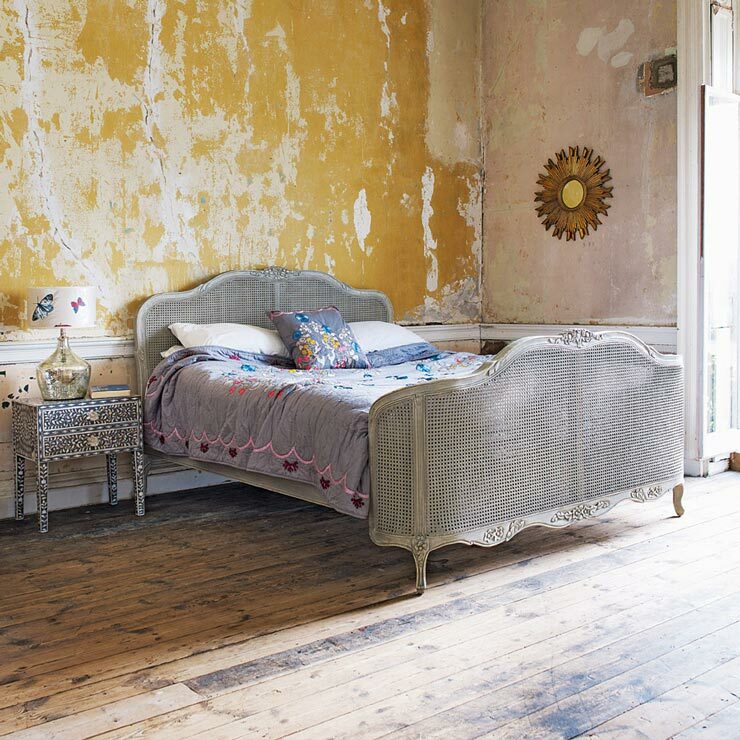 The Shabby chic style started in Great Britain and evokes the type of decoration found in old country houses, where worn pretty fabrics and old paintwork were embraced. 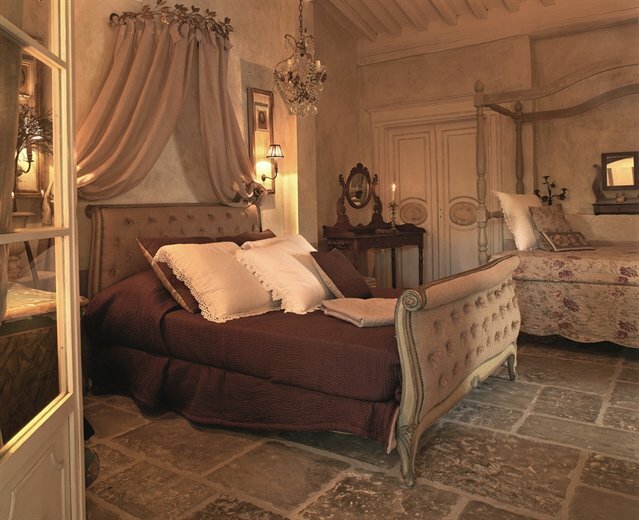 The overall effect of shabby chic is to create elegance. 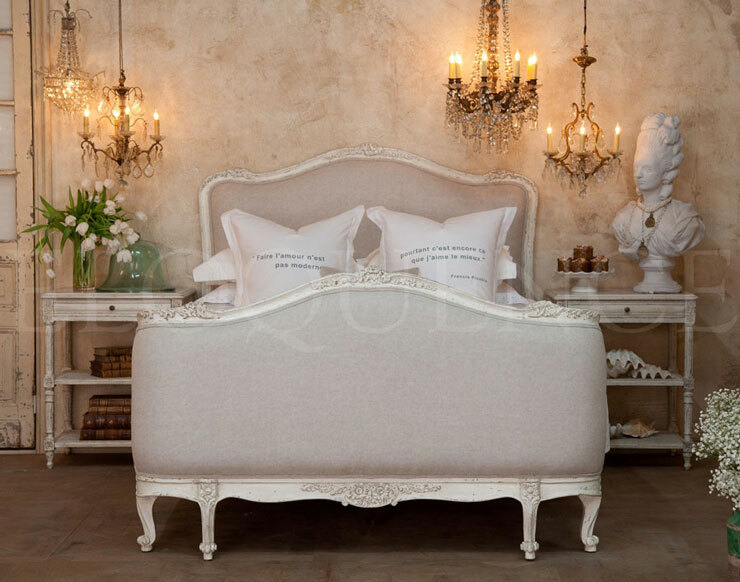 Shabby chic furniture fits very well into a lot of cottage, romantic and Victorian style homes. It’s a relaxed way of living that looks comfortable and inviting making it feel like home.